Early in the year we began our partnership with The NET, a local non-profit organization focused on cultivating feelings of worth and value within Fort Worth's homeless and impoverished populations. MELT's team of happy helpers collected donations, hosted fundraising events, and volunteered their time at events with The NET. Our scoops were happy to donate as well...5 percent of the sales from our classic flavor, Beans, was donated to The NET. So, if you savored our delicious vanilla classic anytime in 2017, you donated to a great cause! Since we believe that treats can change your day, and your day can change the world...we knew we had to do something EXTRA sweet to celebrate Valentine's Day. Who wouldn't love an ice cream cupcake? For one day only we made ice cream cupcakes and packaged them by the two, to be enjoyed with a loved one, or all to yourself. A fresh spring brought one of our favorite holidays...our birthday! This year we celebrated three years of serving happy scoops. Such an occasion couldn't be honored without concocting our very own birthday cake ice cream, and partnering with some of our small business friends for a day of Instagram giveaways! Shoutout to everyone who helped us celebrate, and if you missed out...we have a birthday every year (on April 19th). In the beginning of the summer we were finally able to make a HUGE announcement: our expansion into the historic OB Macaroni building! Our new space in the building is devoted to a sparkling new kitchen, offices, and some room to grow a few surprises. We are so excited to begin this new chapter in our MELT journey and will keep you updated. In the hot summer months of 2017 we hosted some great events that YOU helped make awesome! It would be weird to celebrate National Ice Cream Day, the third Sunday in July, without a fresh treat; we served scoops of sunshine all day long! Just a few days later we celebrated our favorite made-up holiday, Christmas in July! For one day only, we brought back our Christmas flavors to take your mind off the Texas heat and escape into the holiday. In an effort to help our furry friends affected by Houston's hurricane Harvey, we partnered with Indigo Yoga on September 1st for a roof top yoga session. All proceeds were donated to the SPCA of Greater Houston. The beginning of football season in Fort Worth means cheering on the TCU Horned Frogs. This year we cheered from inside the stadium at our very own concession booth! We served some signature scoops as well as a Superfrog Sundae...a giant shareable ice cream sundae with six scoops of vanilla and chocolate ice cream, topped with salted caramel sauce, chocolate sauce, frog sauce, salted brownies, whipped cream and sprinkles, phew! On a beautiful September Saturday we hosted Woodbine Flower Farm's very own Katie Toon in a pop-up flower market. The patio was filled with organic, seasonal blooms and native Texas flora which Katie helped customers combine into their very own bouquets. On a not so happy note, on September 17 our happy little shop was burglarized. A bad guy couldn't steal our happiness though; we opened the shop the next morning to amazing employees and smiling customers. In October, we partnered with Art Tooth to represent an invigorating regional artist, Jeremy Joel. He created ice cream inspired art work which we hung in our shop as a micro-gallery. We created a t-shirt with his signature piece and hosted an artist talk on our patio to discuss his process! This Halloween season was a busy one. We celebrated our very first Harry Potter week! In the week leading up the Halloween, the shop saw a total transformation. Our team of scoopers created decorations that even Professor Snape would approve of. The ice cream flavors for this week were truly one of a kind creations. "Expecto Pumpkinum" was a pumpkin ice cream bursting with house-made butterscotch, white chocolate chip blondie crumbles. "Green-gott's Bank" featured a green apple ice cream with drizzles of house-made salted caramel sauce. "Goblin's Delight" was dollops of cream cheese icing in a cinnamon, red velvet ice cream. Lastly, "Anything From the Trolley" featured a dark chocolate coconut milk ice cream with swirls of blueberry jam with toasted walnut and dried blueberry toffee pieces. What a mouthful! We were so excited in planning out this great week and could not believe the amazing response from our amazing customers. Social media was flooded with photos from the shop, some complete with costumes! We simply cannot wait to celebrate again in 2018 and yes, the chocolate frogs will return. With holiday excitement brewing, we thought it would be a good time for some early Christmas presents! We worked with Fort Worth's Evangelist Agency to give our website a brand new look! Check it out! To go with our website, we launched some new retail items to keep ice cream lovers warm: a knitted beanie and SUPER soft sweatshirt! With Christmas just around the corner, we were getting into the spirit. At the fourth annual Fairmount Festivus, we had the honor of sponsoring one of the buses that toured through Fairmount to view Christmas lights! We loved being a part of this Fairmount tradition. Just two days later we had our own Christmas celebration at the shop, Cocoa and Carols! Every year, we invite ice cream and cocoa lovers alike to enjoy their treats on our patio and sing along to Christmas carols. We had a great turn out this year and can't wait to see who will come visit us in 2018. As we look back in 2017, we can't do so without remembering all the local businesses we partnered with. 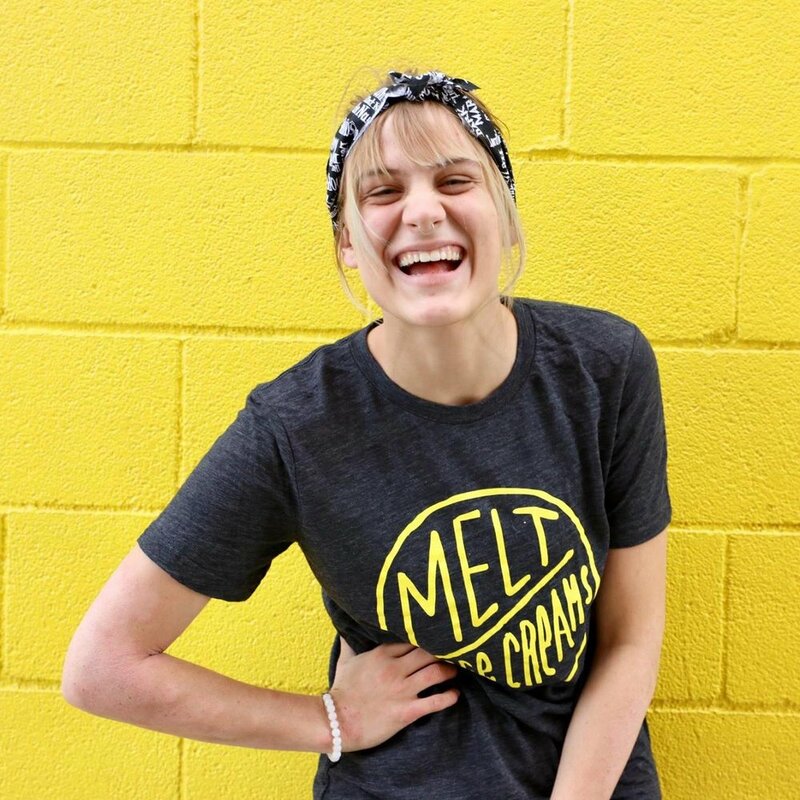 MELT takes pride in creating craft ice creams, and sharing that experience with other small businesses by using their products in new flavors. These are just a few of the great groups we partnered with to bring special flavors to you: Firestone and Robertson Distillery, Funkytown Donuts, Dude Sweet Chocolate, Avoca Coffee Roasters, Rahr and Sons Brewing, Kent and Co Wines, Swiss Pastry Shop, Emporium Pies, The Collective Brewing Project, Stir Crazy Baked Goods, Craftwork Coffee, Hop Fusion Ale Works, Walker Honey Farm, and Shinjuku Station. Phew, what a year! 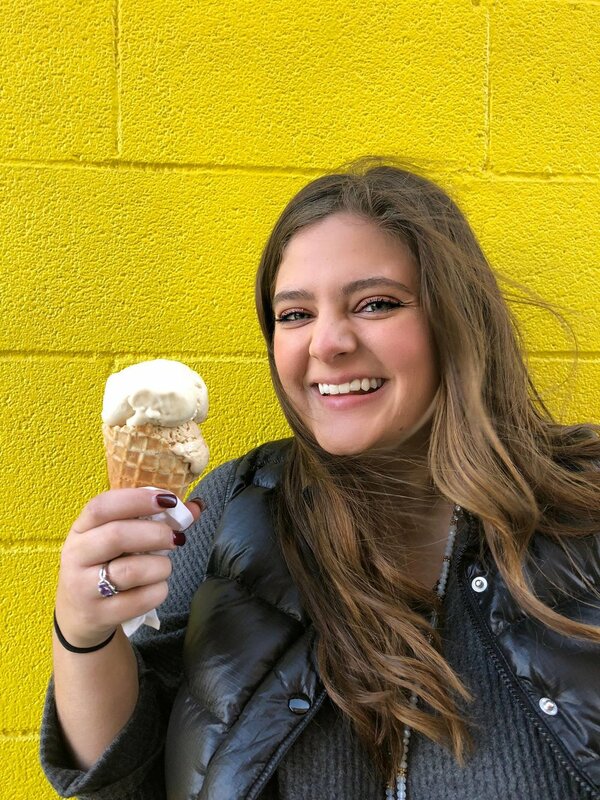 We welcomed so many new faces and flavors into the shop, and we couldn't have done it without every happy ice cream eater...that means you. We can't wait to see what smile-bringing things 2018 has in store.